A lot, and I mean a LOT of the things I own are pink and I love it! If you don’t already know, this is my new favourite eye shadow palette EVER. It smells gorgeous and the colours are even better, all in the shades of pink. Click HERE to see my swatch video. This perfume is so beautiful. I love keeping perfume boxes (because im weird) and this one is a great addition. The scent is very delicate and feminine and is great for wearing everyday. This little candle comes on a mirrored plate with a bell jar and bow. When I saw it I just had to get it because it is so sweet! I have one of these in my bathroom and one in the kitchen and maybe a few more around the house…. Luffas are my thing. It makes any body wash lather up so well and creates bubbles galore. This set from Jack Wills is not only pretty for display but smells divine. This notepad is my saviour lately. Ive got so much going on that I need to either remember or quickly note down so this little book is great to keep in my bag for on the go note taking. This scarf is more so a blanket its that big! It is so cosy when on and the fabric is super thick and soft. Its really good quality and looks great with a beige coat and boots. In my Primark Haul video, I showed you guys this cropped pink jumper from Primark. It is so soft and I love to wear it in the evenings. Its a really dusky pink which I LOVE and is so comfy to wear all day…everyday if I wanted. And that is my PINK haul for you guys. I would love for you all to find your inner pink self and show me your FAVE pink things for this Valentines season. *This blog post had a featured product from Carex UK. All opinions are honest and my own. Because payday is in 3 days thats why. I wanted to create my January beauty wishlist as there are so many things that I have got my eye on at the moment and I can’t wait to get my hands on them. Fancy a look what’s inside my shopping cart? As soon as I heard Makeup Revolution were releasing lip kits, not going to lie, I did scream a little. Im a big fan of their lip products and am in desperate need for the whole collection. Unfortunately they did sell out pretty fast and im not surprised as the colour ranges are stunning. Who needs a Kylie Lip Kit when you’ve got this huh? Eyebrows shape the face and are an important part of my beauty routine. I have seen so many people use this bad boy and get stunning brows effortlessly. Again, the colour ranges are amazing as my brows are quite light in colour naturally. Its formula is also waterproof which means these brows are not budging all day. At £18 I think its a good price as these pots really do last a long time. Do I need to add any words to this? Look at the packaging! It is stunning. If Mariah was a lipstick, this would actually be her! – Sparkly and Magnificent! The only downfall is the range in colours, there are not too many but HEY! Its a small collection which is crafted to perfection. My skin could do with a break from this winter. I have heard magical things about this and am in desperate need for some soft and hydrated skin. This gel is super hydrating which is just what I need after this cold spell were having, and it leaves the face feeling smooth and soft. It is a bit more than I would like to pay for a moisturiser but if its true what they say – I’ll see a dramatic difference. Im all about matte right now and when I saw a cashmere MATTE polish, I knew I had to get it. The collection is very natural to reflect cashmere elegance but thats fine with me as I LOVE neutral nails. It is also supposed to have a pearl reflectiveness to it which I think will add a bit of extra glam to the fingertips. And that is it guys. Not too many items on my list, we’ve got to be reasonable now. Do you guys have any products your hoping to buy on your wishlist? I would love to know! Blog Milestone: 800 Blog Followers! 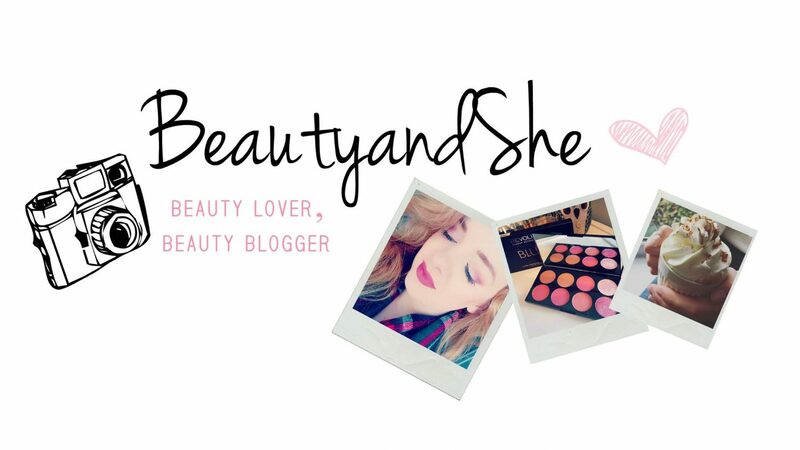 It only seems like yesterday that I first started my blog and I was so happy to have 5 people follow me..
For 2 years now I have been keeping you guys posted on all of my latests beauty bits and lifestyle loves. To achieve over 800 of you guys is incredible! I love every bit of blogging as I really feel like I can just express myself and express my passion with all of you! My blog has been shaped and grown so much and I have really developed my own sense of style along with it. So thank you all for making this blog as successful as it is and I cant wait to get to the next milestone of 900! Ok, so im a little obsessed with liquid lipsticks..
and when I saw METALLIC versions from MUA – I just had to buy them. I’ve really been loving matte liquid lipsticks lately and how the look and last throughout the day (I always find they make my lips appear more full). I purchased three different shades from the brand MUA, which is one of my all time favourite budget beauty brands. The quality of the products is incredible and the prices are even better. These lipsticks were all £2 each making them such a bargain I couldn’t resist. I am loving the packaging designs of the products to really reflect the metallic and sleek vibes. The first shade is called ‘Luster‘ and its this beautiful shimmery gold/beige. As you can see, its highly pigmented and very rich. It has a really creamy texture which was surprising as I thought it was going to be quite drying. I feel like a snow queen or some form of mythical being wearing this. It is super reflective but surprisingly wearable. Its still a buildable product and you can make it more and more rich in depth as you go. The second shade is called ‘Glint‘. This shade is a shimmery brown/gold with hints of silver. With this colour a little really does go a long way. Im not too keen on this shade. It was a bit difficult to blend and get and even coat. Im not usually one for dark grey/brown lip shades but I do like the colour! Im sure with a few more layers I could even thing out. The last shade is called ‘Blaze‘. This is absolutely ideal for winter with its rich berry colour. As you can see, its not complete pigment coverage which is nice as again, its blendable. I really do LOVE this colour, its such a warm tone that goes well with my skin shade. This colour had a lot and I mean A LOT of glitter.. which isnt a bad thing..
Im defo learning to love metallic after these bad boys. To find these lipsticks click HERE. It’s New Years Eve, almost another year over..
and what better way to end the year, with a touch of sparkle right? Over the past few years as they have become more and more popular, I have tested my fair share and have developed my favourite collection from 2016. From liquid, to cream to powder styles, I’ve tried them all and have narrowed it down to my all time faves. I think im not the only one to say that this little thing packs a glittery punch. I was always a bit sceptical of liquid highlighters as most that I have tried always brought my foundation off with them and produced little or no highlight. This however, is perfect. 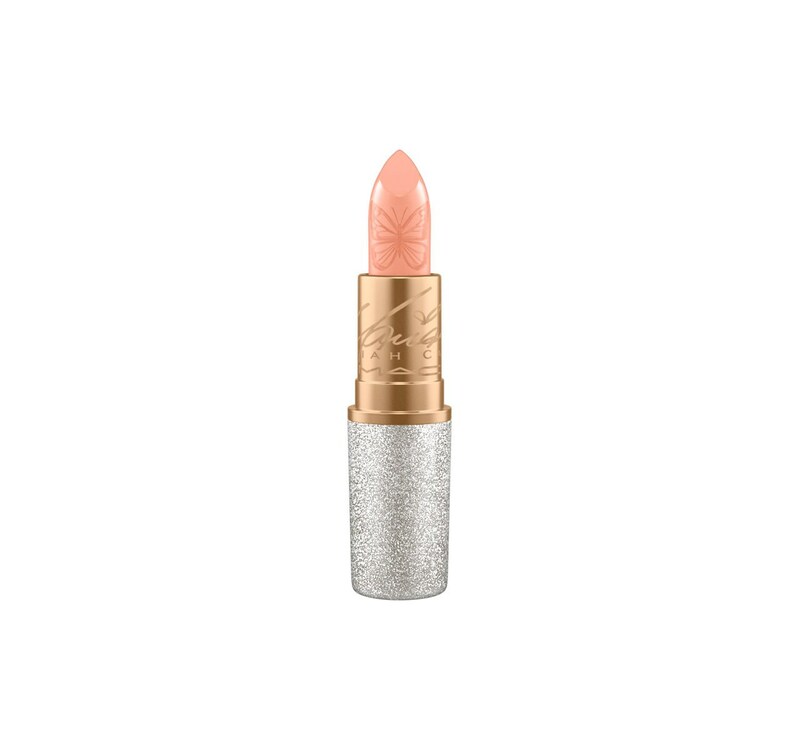 Its a very soft pink cream shade with a super reflected glow. Its very natural and gives a healthy look to my skin without me looking like a piece of tin foil. A little really does go a long way and I find that using my fingers to blend in to the skin works the best for me. You can purchase this at most drug stores or from Benefit for about £19.50, A bit on the pricey end of things but it truly lasts forever. I have had this for a year now and it is still going strong. This powder highlights is beautiful, and so is the packaging right? Its a very light weight and fine pressed powder that does no get cakey with wear. It has a strong reflective glow to it, a bit more iridescent than High Beam. The colour is a pearly white and this swatch is just after one sweep so its super pigmented. With this highlighter I use a fan brush as it picks up a lot product and gently dusts over the skin. You can really build this product up as well so you can have a subtle everyday look too. You can find it in your local Superdrug or online, but its a bargain as well at £4.99, this bad boy is a steal. On to cream highlighters with the Revlon highlighting stick, this product glides on to the skin effortlessly. It is quite handy to throw in my handbag for on the go shimmer and super easy to blend with my fingers. The colour is darker than the previous products and works amazing with a tan for that summer glow. The shade I have is called Starlight and as you can see, very pigmented so again, a little goes a long way. Its £9.99 for this product which is a bit much for it in my opinion but again, im sure it will last quite a while, especially in summer. How stunning is does this look. This personalised palette from Makeup Obsession was from my sister for my birthday and she has filled it with my favourite shades and colours. The highlight in here is on the top right hand corner and is a cream balm. Ive got the shade Gilded, which a a bright pearl white. It is really creamy and thick so it does need blending quite well. I find that the warmth from my finger tips does the job well but it creates the most beautiful shimmer and fresh dewy look. The individual pan was £3.00 from Boots and fits in to any Makeup Obsession palette. This palette is great for everyday wear with my favourite shade being the middle one. Its lighter than the other two which is perfect from my skin tone. It does need to be built up to really get the lovely pigment but when it is on its divine. This provides a natural fresh skin look without the weight of a heavy feeling product. I use a fan brush to apply this as I have much more control over the powder. The mirror is really good as its larger than most too. From Makeup Revolution its a bargain for £8. And that is my Top 5 for 2016. If I had to name a favourite, I think it would be Benefit High Beam but I wear all of these shown. I would love to know any other recommendations from you guys or share your favourites with me in the comments!